New SVOD service to launch March 18, 2015 is the first to focus on premium factual content. New commissions include Big Picture Earth in 4K. CuriosityStream is the world’s first ad-free, SVOD service that addresses our lifelong quest to learn, explore, and understand. 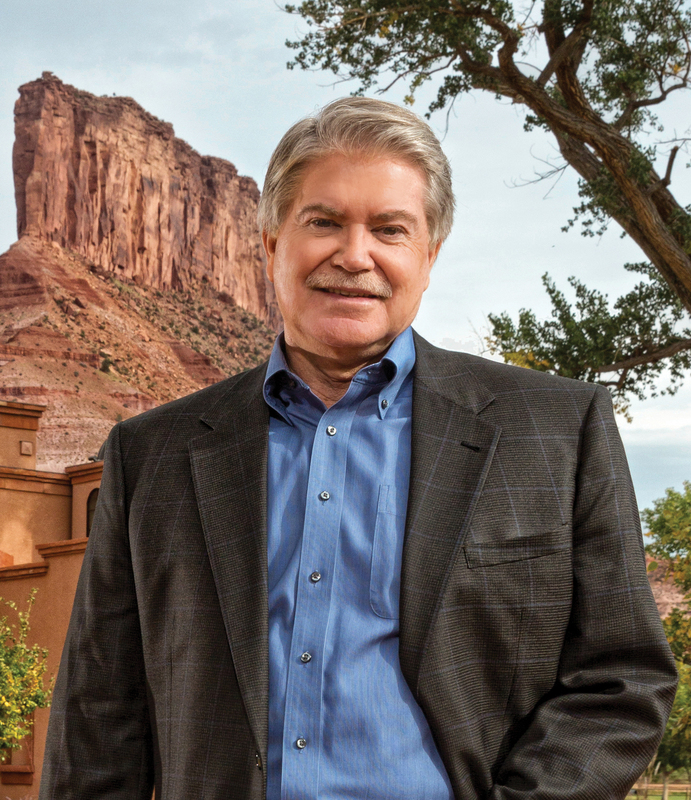 Hendricks, the Founder of the Discovery Channel and former Chairman of Discovery Communications, today announced CuriosityStream, the world's first ad-free SVOD service for consumers who want to experience premium enriching content on any device and at any time of their choice. "As many in the industry know, I have long dreamed of a content-on-demand service that uses advanced media to empower the enduring human desire to understand the Universe and the world around us. The advent of online streaming technology utilized by Netflix and other successful video streaming services has created a video transmission infrastructure that finally allows viewers to watch what they want to watch, when they want to watch it. Of course, this same on-demand, ad-free transmission framework can deliver premium factual content as well as premium entertainment content. CuriosityStream is the world’s first ad-free, SVOD service that addresses our lifelong quest to learn, explore, and understand. For consumers, our aim is to provide the first and best on-demand video streaming destination that aggregates and curates the world's best factual content," said Hendricks. CuriosityStream has commissioned the production of exciting, new documentary series and short form programming in 4K resolution format (Ultra HD), including Big Picture Earth, to be produced by David Conover, the filmmaker behind Sunrise Earth. Big Picture Earth, a 20-part 4K series, will capture some of the world's most magnificent visual wonders exclusively for CuriosityStream subscribers with 4K TVs. This groundbreaking series is set to illuminate with breathtaking imagery the world's most fascinating destinations, including ancient and mysterious Stonehenge, otherworldly Icelandic caves, the curiosities of Central Park, and the enchanting canals of Venice. CuriosityStream is also commissioning Deep Time History, an exclusive, multi-episode original production that will trace the great people and events of history, while also revealing the geologic and geographic underpinnings of these events and epochs. Digits, another CuriosityStream 2015 original series commission, will deliver a comprehensive history of computers and the Internet, as well as consider the far distant possibilities of quantum computing, virtual reality and artificial intelligence. Deep Time History and Digits will be available in North America only on CuriosityStream. Engaging short form content, generally less than 8 minutes in length, will comprise a significant part of the on-demand CuriosityStream library. CuriosityStream's in-house Curiosity Studios conducts about 20 interviews a month to produce uniquely engaging segments featuring leading experts and luminaries, including Deepak Chopra, Sheryl WuDunn and Michio Kaku. Within the short form library, two original series will debut on CuriosityStream in 2015: A Curious World will explore everything from ancient engineering feats to the workings of our sleep cycles, and Destination Pluto will provide coverage of the New Horizon mission set to pass our distant neighbor in summer of 2015. Additionally, CuriosityStream will launch with never-before-seen artist interviews by world-renowned photographer Norman Seeff as part of a collaborative study of creativity. Also available to subscribers will be a Deepak Chopra-hosted interview series with industry leaders and celebrities. Elizabeth Hendricks North, President of Curiosity Project LLC, commented: "We have combed the planet for content that truly enchants as well as informs audiences. From exploring the science of consciousness to understanding the linguistic legacy of Shakespeare, the entire staff at Curiosity Project has been eager to watch the videos produced in-house and acquired abroad. We believe CuriosityStream will be a deeply empowering service for the 'incurably curious' viewers like us across the globe." Heading up the programming team for CuriosityStream is Steve Burns, the Emmy Award-winning documentary producer who has programmed content for some of the world's leading distributors of nonfiction media. Steve Burns served most recently as the Executive Vice President for Global Content at National Geographic Channels worldwide and has worked as Executive Producer for WNET, Chief Science Editor at Discovery Networks, and General Manager of the Science Channel. Richard Sergay, a veteran, award-winning ABC News producer, serves as the interview host for Curiosity Studios and as a senior consultant for Curiosity Project's partnerships and acquisitions. 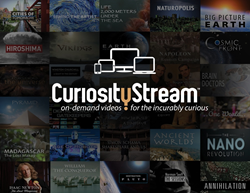 CuriosityStream launches its subscription service on March 18, 2015 with over 800 video titles accessible on-demand and ad-free. Viewers can access the site prior to launch at CuriosityStream.com to get a sneak peek of the video library and sign up for the service in advance of the launch. Viewers can also join the CuriosityStream community on Facebook and Twitter. The technology underlying CuriosityStream is a collaboration between Curiosity Project engineering and software staff and a number of leading digital companies, including Limelight Networks. Limelight Networks will provide content hosting in the "cloud" for CuriosityStream content. The web interface for CuriosityStream will allow consumers to access the service's streamed video from all internet-connected devices including desktop computers, laptops, tablets, and smart phones. Consumers equipped with Apple TV, Roku, and Chromecast will also be able to view CuriosityStream on their television sets in full high-definition resolution. Peter North, CuriosityStream's Executive Vice President for Digital Media Operations, stated: "We have designed CuriosityStream from the ground up as a customer-centric service that provides what viewers want: fast streaming, intuitive video selection, quality content, and no advertising. While keeping our key user interface designs and operations internal, we have opted to collaborate with the very best outside partners for the development and operation of digital content hosting, video player, TV set display technologies, and secure subscriber billing." The monthly subscription fee for CuriosityStream is currently priced to host and deliver four streaming resolution preferences: Standard Resolution ($2.99 per month), 720 HD Resolution ($3.99 per month), 1080 HD Resolution ($5.99 per month) and 4K Resolution ($9.99 per month). CuriosityStream is a service of Curiosity Project LLC, a Delaware limited liability company with offices and studios located in Silver Spring, Maryland.